One of the joys of summer is getting out into the woods, hiking a new trail, or enjoying one that’s well worn. And, when the whole family includes our dogs, it’s that much more fun! 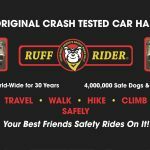 June 2nd is National Hiking Day and Ruff Rider wants to make sure everyone in the family is safe when hiking, traveling, and enjoying the outdoors. 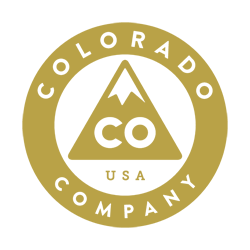 The World’s Best Safety Harness! When hiking, it’s important to remember that everyone needs water! 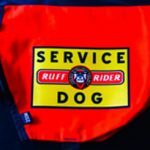 So, be like Max and carry a Ruff Rider Roadie travel bowl with you! 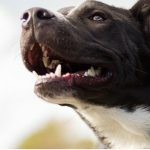 This lightweight, and compact, collapsible water bowl fits in its own carrying case and clips easily to a leash or backpack. Get Your Travel Bowl Here! 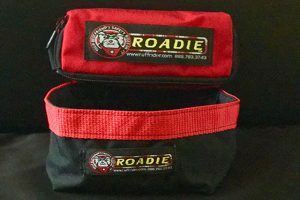 For a Limited Time, buy a Roadie* and get a Free Leash!